The fully updated industry-standard guide tomaintenance planning and schedulingWritten by a Certified Maintenance and Reliability Professional (CMRP) with more than three decades ofexperience, this thoroughly revised resource provides proven planning and scheduling strategies that willtake any maintenance organization to the next level of performance. The book covers the accuracy oftime estimates, the level of detail in job plans, creating schedules, staging material, utilizing a CMMS, andmore, all designed for increasing your workforce without hiring. 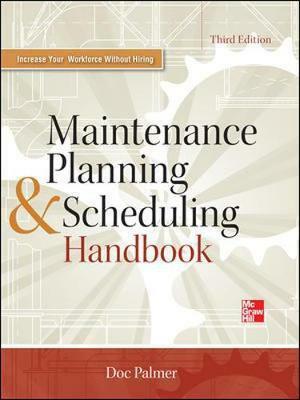 Maintenance Planning and Scheduling Handbook, Third Edition features major additions to the businesscase for planning and scheduling, new case studies, an expanded chapter on KPIs with sample calculations, a new chapter on successful outage management, and a new appendix illustrating how to easily conduct an in-house productivity study. New discussions reveal how the principles of planning and scheduling closely follow the timeless management principles of Dr. W. Edwards Deming and Dr. Peter F. Drucker. This comprehensive guide delivers the experience, advice, and know-how necessary toestablish a world-class maintenance operation.